Bantul has specialties that must be visited. His name is Noodles Pedes Pundong or miBangkok. 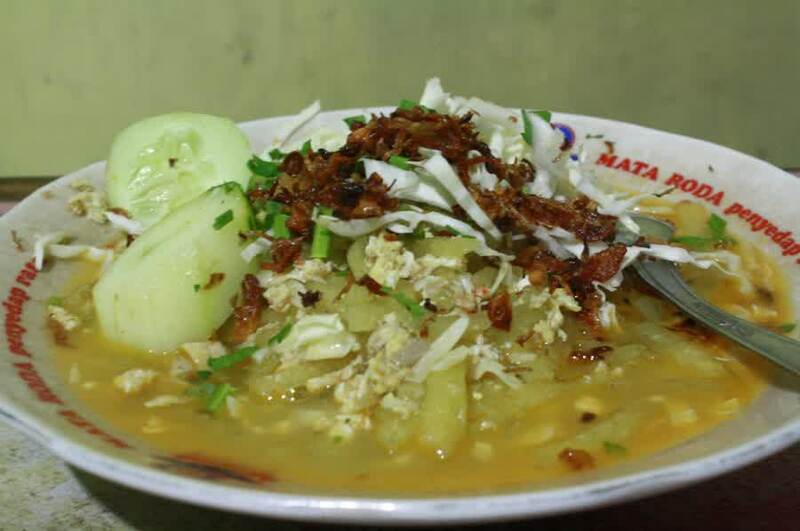 Miedes Pundong is different from Java noodles, chicken noodle, the noodle–noodle or any other in the area of Yogyakarta. Miedes made from flour, cassava/tapioca, which is processed in such a way so that the end result after it is cooked will be shaped block of large and small cut about 5-10 cm.Clearly different from noodles in general are small, round, penampangnya and lengthor with a squashed–Shahe sprawl. After noodles are cooked, it will feel very springy, exceeding kenyalnya Shahe. The way that they are presented like making fried noodle or noodle and, with cabbage,celery, cucumber and fried onions as garnish. The typical, as the name implies, the default rendering is the spicy noodles. But we can ask the seller for a particular level ofspiciness with cooking. During the wait the order matured, we will be accompanied by a glass of hot tea sugar cubes that it feels endless!.